Hi I am interested in taking an aquaculture course i noticed that tilipia is not mentioned in the list of farmed fish in your courses, i am very much interested in tilapia. Please advise would the knowledge given in your courses be beniftial for, breeding, hatching growing.etc.. tilipia? Hello Ahmad and thank you for your question. The general parts of the course will apply to all freshwater farmed fish, including Tilapia. In addition there are lessons on particular fish varieties, but as you correctly say, Tilapia isn't one of them. Therefore the course will be suitable for general information regarding how to grow and care for tilapia, but not for any specific information regarding tilapia. 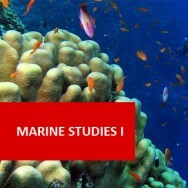 Aquaculture course online. Develop a capacity to develop and manage freshwater aquaculture enterprises. Aquaculture is the farming of water animals (eg. Fish, crustaceans) for human consumption. 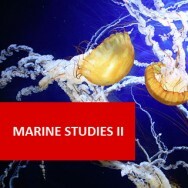 This course covers: water (e.g.source, purity, flow, temperature, dissolved oxygen), stocking rates, spawning, checking stock, stripping, fertilization, hatching, growth stages, feeding, harvesting, stocking and more. Compare the cultural requirements of different types of fish and choose the most suitable for aquaculture in your region. Other resources: manpower, knowledge, support services, etc. 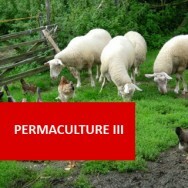 Explain the importance of correct feed to the success of a specified aquaculture enterprise. 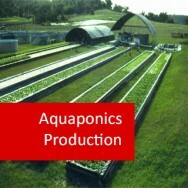 List the components of an aquaculture production system. Compare extensive production systems with intensive production systems. Assess the production systems used in three different aquaculture enterprises. 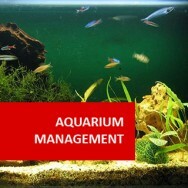 Research and describe a successful aquaculture production system. List freshwater fish suitable for aquaculture in your region. List saltwater fish suitable for aquaculture in your region. Describe the requirements of one type of salt water fish which has commercial potential for farming. Explain how water quality may affect production in an aquaculture system. Develop a list of criteria for selecting a site suitable for a specified freshwater aquaculture purpose. Explain how varying stocking rates can affect the condition of a specified type of animal in aquaculture. Compare various methods of feeding commercial species, including fish and crayfish, with reference to the type of food and the way it is delivered to the animals. Compare the advantages and disadvantages of aquaculture with those of other types of agricultural enterprises. 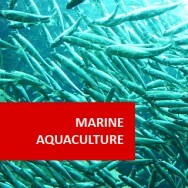 Analyse aquaculture marketing systems, on both a national and international level. 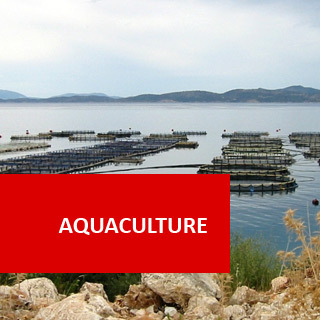 Evaluate the marketability of different specified types of aquaculture produce. Evaluate the viability of a proposed, specified aquaculture venture. Other resources: manpower, knowledge, support services etc. Risk Considerations: disease, pest, reliability of growth rate, stability of markets. Some animals are more environmentally sensitive than others. Some may require cold water, others hot water; and others water where temperature fluctuations are minimal. Some need deeper water; others are able to grow in shallower water. Some species need certain water salinity or alkalinity in specific periods of development. In general, cold freshwater fishes require more pristine waters and stable oxygen concentrations, therefore more control on water quality, than warm water estuarine fish. Water quality may be more important to some animals than others. Some may grow in poor quality or contaminated water, but the quality of the harvest (taste, levels of pollutants such as mercury, etc) can become an issue if water quality is poor. Oxygen levels can affect rate of growth in animals, as can chemicals in the water. High levels of nitrogen together with light can cause algal blooms which can block pipes, and may cause other problems as well –but may also provide food for aquatic animals. Some properties may already have dams or other previously built or naturally occurring water resources that can be used. 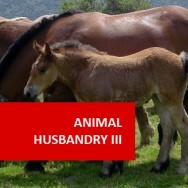 Some animals may be grown to a marketable size quickly; while others take a lot longer. It is not only important to have adequate money to set up a venture but also the cash flow to maintain operations until a return on investment is realized. Some types of aquaculture can be intensive, requiring relatively little land. Other types need to be operated on a much larger scale to be profitable. Your choice of animal may be determined by the scale on which you are able to operate. Larger scale operations will need more manpower. If something goes wrong, you either need the expertise yourself or experts help close at hand to deal with the problem. For farms that are located in isolated communities (for example), it may be difficult to obtain help from a veterinary expert, an engineer or irrigation expert, or some other expert, as and when you need it. Some products sell well, but that may be because they are difficult to produce; or perhaps because they are in fashion at the present moment. This does not necessarily mean you will sell them well, or make a profit on them if you start planning to grow them now. There may be others also starting aquaculture ventures targeting this market or perhaps the cost of production is so high that despite demand, there might not be a big profit. Current demand is none the less an indicator of likely demand later on. Demand is only one consideration when deciding whether the market opportunity will be strong. There are all sorts of costs involved in marketing as well. Consider how well the product keeps, the cost of processing, transport, packaging etc. Consider alternative options for marketing also. Some fish may be preserved by freezing, smoking, canning, pickling etc: thus extending the shelf life; but this may also change the nature of the product. Processing may add value to your produce; but it can also increase the overall production cost. You may identify an animal species that would be ideal to farm, but if it is unavailable or illegal to grow in your region, there is little point in planning its production. Some animals are more prone to disease, growth rates are more sensitive and variable, or market demand is less reliable. Drought, variations in water quality (or depth) and other factors can also be risks. You need to consider risks; and choose animals to farm that will be less risky for you in your situation.